State Law Pushes Doctors To Taper Most Patients' Opioid Doses : Shots - Health News Maine is among a handful of states putting limits on the painkiller dose that doctors can prescribe a patient. Some doctors and patients say the law is helping, while others say it goes too far. Across the state of Maine, the number of prescriptions for painkillers is dropping. But some patients who have chronic pain say they need high doses of the medication to be able to function. A year ago, Maine was one of the first states to set limits on opioid prescriptions. The goal in capping the dose of prescription painkillers a patient could get was to stem the flow of opioids that are fueling a nationwide epidemic of abuse. Maine's law, considered the toughest in the U.S., is largely viewed as a success. But it has also been controversial — particularly among chronic pain patients who are reluctant to lose the medicine they say helps them function. Ed Hodgdon, who is retired and lives in southern Maine, was just that sort of patient — at least initially. Name a surgery, and there's a decent chance Hodgdon has had it. "Knee replacement. Hip replacement. Elbows. I've got screws in my feet," he says. 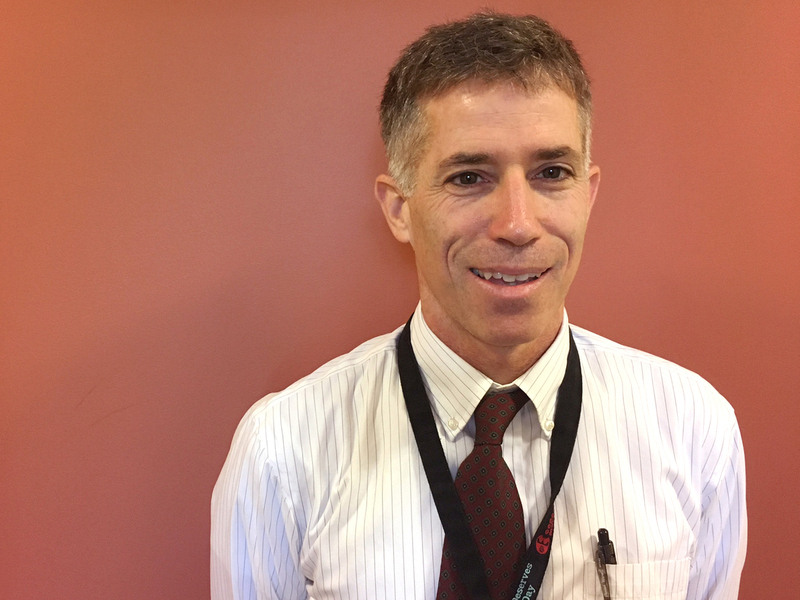 Dr. Don Medd, an internist in Westbrook, Maine, has found that working with patients to find alternatives to opioids has helped many taper their dose and reliance on the drugs — and reduce side effects. Hodgdon has rheumatoid arthritis. And along with each surgery came an opioid prescription for pain. At first he got some relief from the drugs, but it didn't last. "It just numbed it for a while," he says, "and then I needed more." Though Hogdon kept increasing the dose, the pain never went away. "And then I found Dr. Medd. That's my angel right there," Hodgdon says, nodding toward Dr. Donald Medd, a general internist in Westbrook. 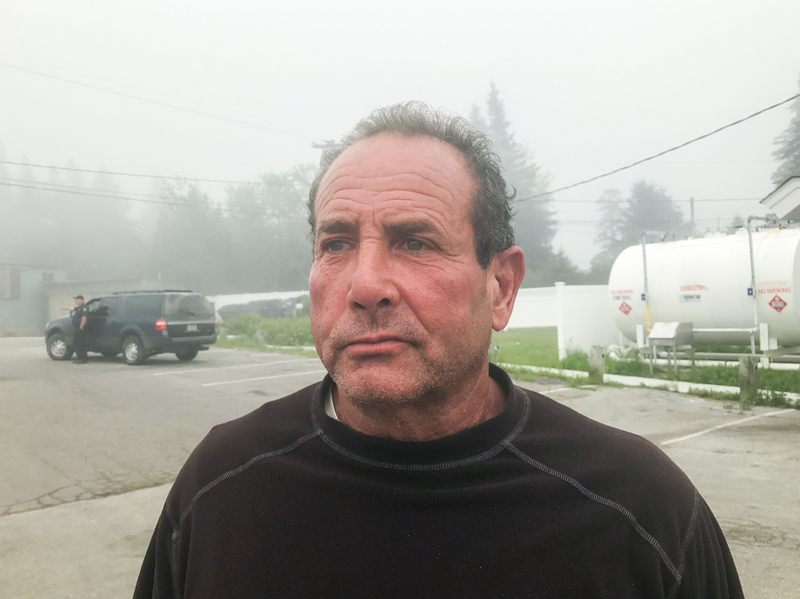 Medd had already started to taper high doses among patients like Hodgdon before Maine put a cap on new prescriptions for opioids last July. The new limit allows a maximum of 100 morphine milligram equivalents (the standard used to measure potency for all prescription opioids) for most patients per day — with certain exemptions for some cancer patients, those in hospice care, and some others. Patients with existing prescriptions were, by and large, given a year to meet the new restriction. 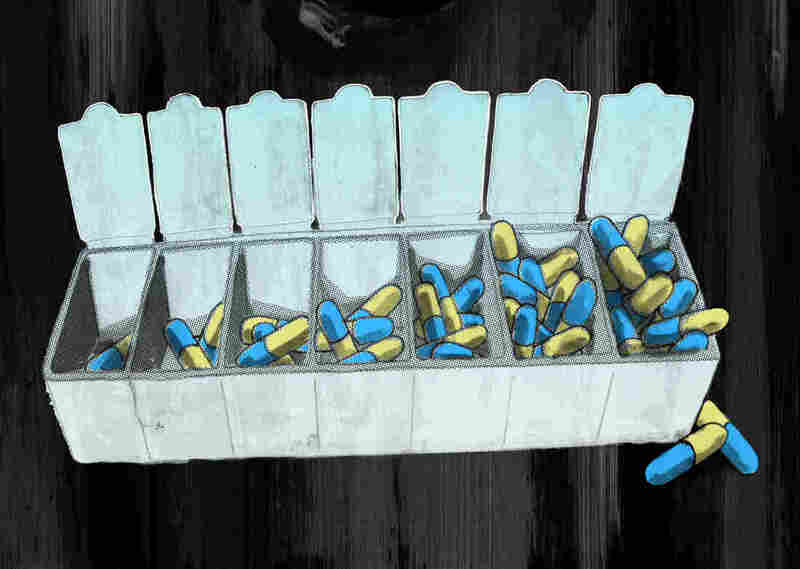 Medd was ahead of the game because he'd noticed that many of his patients on high doses of opioids grew increasingly angry about their pain as time wore on, and tended to demand ever more medication. At the same time, they were struggling to function in daily life because of the drugs' side effects. "You know, at some point the medications get in the way of some sort of recovery," Medd says. Opioids were affecting Hodgdon's mood and his memory. Medd worked with him to cut the dose he was taking every day by two-thirds and helped him get in touch with a psychologist for further help. Though Hodgdon still lives with some pain, he says his life is infinitely better. "I can remember things," he says. "I get along better with people." Despite success stories like Hodgdon's, Medd says he initially opposed Maine's law. He didn't want the legislature to interfere with medicine. But now he thinks the law gave a necessary nudge to many doctors. Compared to a few years ago, Medd says, he and colleagues in his medical practice have cut the number of their chronic pain patients who are on opioids by almost half — from about 1,500 to 800. In nearly all counties in the state, the number of prescriptions for painkillers is dropping. It's a trend that Gordon Smith, executive vice president of the Maine Medical Association, says was underway even before the law took effect. "We had the fourth largest drop in the country," he says, citing a 21.5 percent reduction in opioid prescriptions from 2013 through 2016. The data only include the first few months after Maine's prescribing cap went into effect, Smith says; he expects the law will accelerate further reductions. "Now having said that, it's not been easy," he says. "It's been particularly difficult for patients," he says — specifically for the 16,000 patients on high-dose opioids who were expected to taper to the 100 morphine milligram limit by July of this year. Brian Rockett runs a wholesale lobster business in Maine, despite his chronic pain from past injuries. He needs high doses of opioids to be able to work, he says, and his doctor agrees. "I was about four times above that," says Brian Rockett. He operates a wholesale business buying lobsters on the Maine coast. Rockett started taking opioids years ago to ease the pain of injuries from racing motorcycles and boats. When he tried to taper the dose, he says, he had unbearable pain. So, he filed a notice of intent to sue the state over its restrictions on how much he could be prescribed. "I just knew that I was facing possibly losing my business," he says. Rockett wasn't alone in his inability to taper his use of the drug, and Maine lawmakers — like Dr. Geoffrey Gratwick, a state senator who is also a rheumatologist — took notice. "A certain group of people simply cannot come off [opioids]," Gratwick says. He recently pushed through a change to Maine's law that allows broader exemptions, so that people with incurable, chronic conditions can continue to take high doses. It put the decision about that back in the hands of the doctor and patient, Gratwick says, "where it should be." Under the revised law, Rockett was able to increase his dose, and dropped his lawsuit. Even though more patients could, potentially, seek exemptions, Maine's law is seen by its advocates as an important step. Recent data from the federal Centers for Disease Control suggest that nationwide, despite an overall decrease in recent years, the number of opioids prescribed still triple what it was in 1999.